The best option in weight training for women beginners. You are new to lifting with free weights (barbells and dumbbells) and training for strength. You’re tired of feeling weak, constantly getting injured, and just messing around in the gym. You want to learn how to lift weights properly so that you can train with confidence and feel like you are getting somewhere. However you have no idea how to go about lifting weights and you are worried that your technique is just not good enough. You find that you hold back or ‘cop out’ of lifting heavy for fear of injuring yourself. You find the weights room quite intimidating as it’s full of grunting men and you never see women in there on a regular basis. When you’ve asked at your gym about “proper” weight training you’ve been given a blank stare. You may have had bad experiences with personal trainers in the past who’ve pushed you too hard (to the point of injury) or just haven’t listened to you. It seems like there’s no-one in your gym who can help you or who understands what you want. There must be other weight training beginners who know how you feel – but where are they?! A class that is specifically designed to teach weight training for women beginners. A class that teaches you exactly how to lift weights with good technique, how to make regular progress and get excellent results from your gym sessions. You want to learn in a supportive, non-judgmental environment with other people who are weight training beginners, in the same boat as you. You don’t push yourself when you’re on your own so you need the support of a coach and training partners to encourage you to lift heavier. Most of your friends think you are crazy for wanting to do weight training so you would like to spend time with other women who train, and to have a coach who understands what it’s like to be a woman who lifts weights. The Beginner class will teach you EVERYTHING you need to know as weight training for women beginners, to start lifting free weights in the gym with confidence. From mastering perfect technique in the squat, deadlift, pull up, bench press and other big exercises, to learning how to set up all the equipment for your workout, you always know EXACTLY what to do and how to do it when you are in the gym. 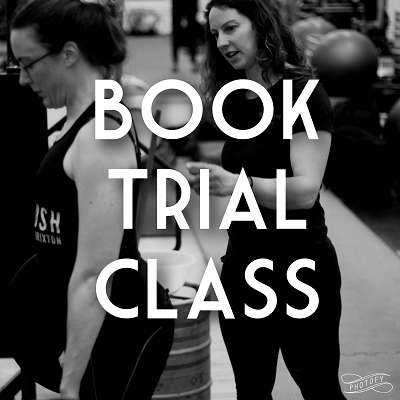 However, if you are interested in a regular class, and want to try weight training for at least a few weeks, book into a Ladies Who Lift trial class below. We recommend that you come to a scheduled trial class before signing up for membership. A trial class costs £9. You can take part in the class, and if you then decide you want to come on a regular basis, you can sign up for a membership. The gym is a 5 minute walk from West Ham station. Free car parking is also available. West Ham is on Jubilee, District, Hammersmith & City, DLR and national rail. The sports club is a 10 minute walk from West Dulwich station (trains from Victoria and Brixton, and also on Thameslink at peak times). Free car parking is available in the main college car park [with sports club membership card]. On street parking is also available. To sign up for regular Ladies Who Lift classes, please go to the Memberships page.